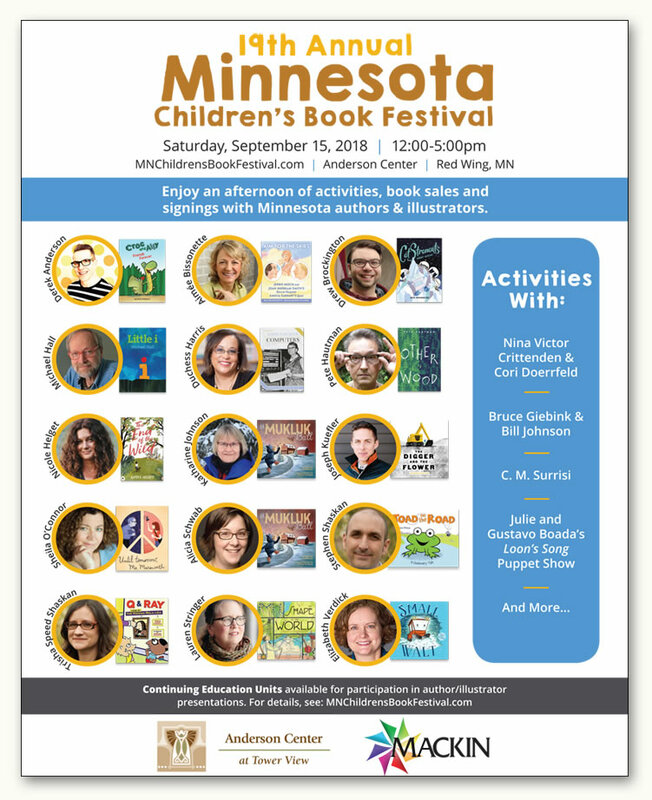 A Book Festival, School Visits and More! 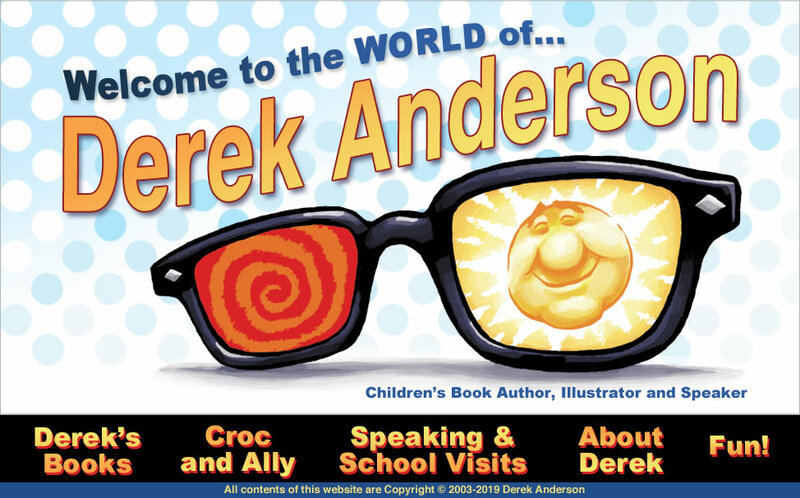 It has been a busy fall full of travel, events and all kinds of book fun! 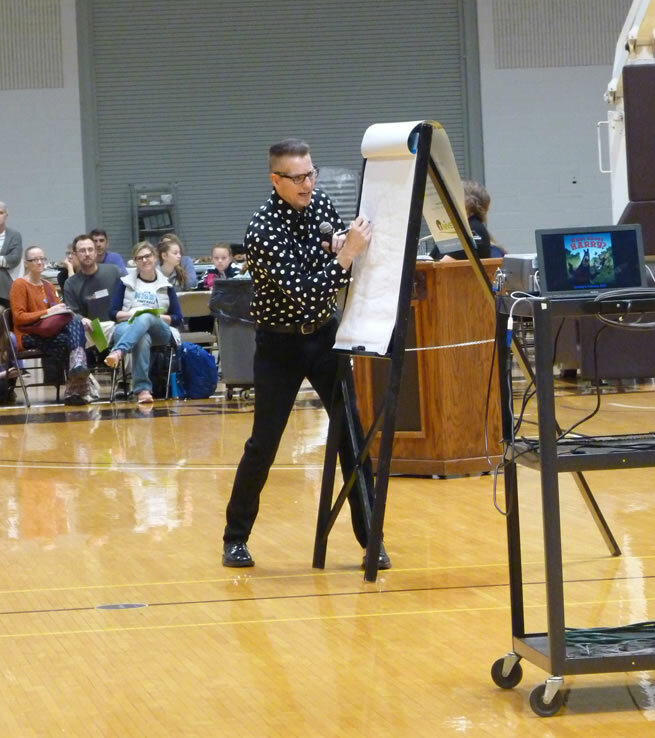 It began with presenting a keynote to a thousand people at the Young Artists Conference at Southwest Minnesota State University in Marshall, Minnesota. I snapped this picture while everybody was still getting seated. 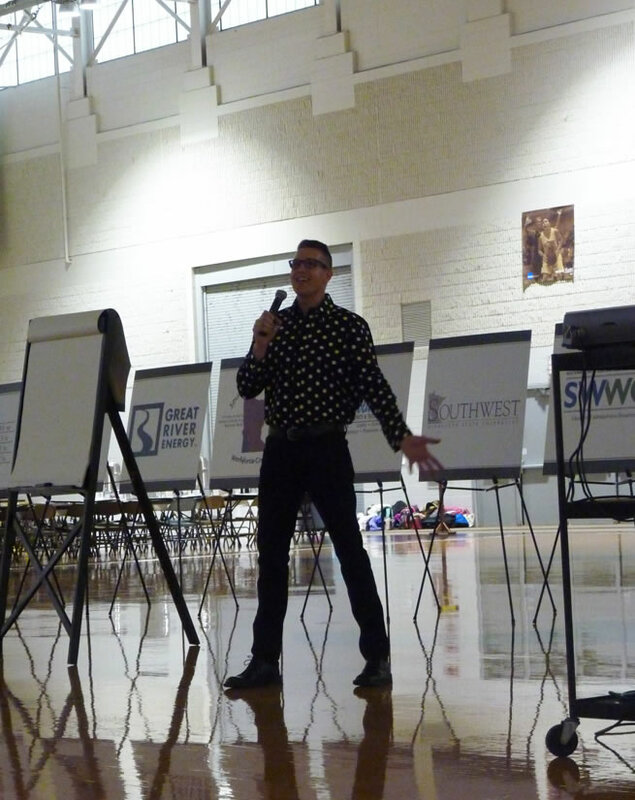 It was a giant audience comprised of kindergarten through eighth grade students, teachers and parents from all over southwest Minnesota. We had a lot of fun! It isn't easy to do drawing demonstrations for that large of an audience. I presented workshops for the rest of the day, so I was able to do drawings with some of the students in a smaller, classroom setting. 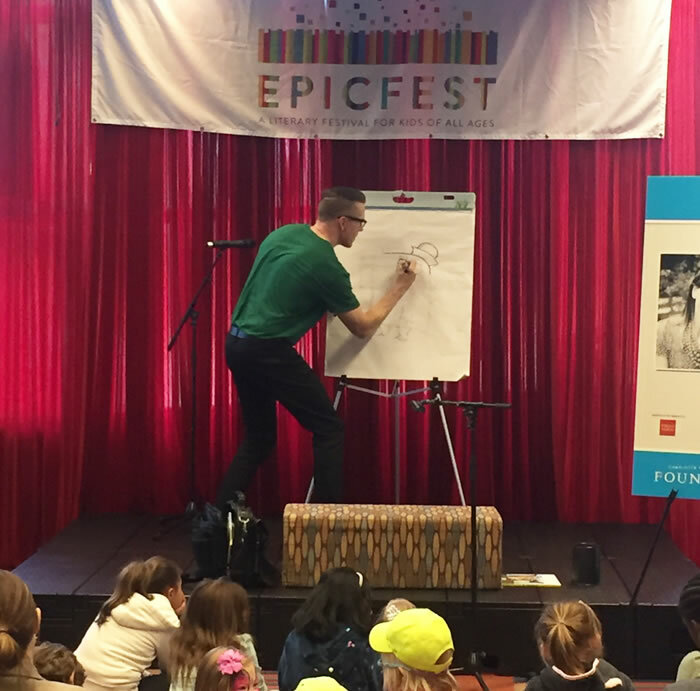 I was home for a few days and then flew off to Charlotte, North Carolina to speak and sign at EpicFest. 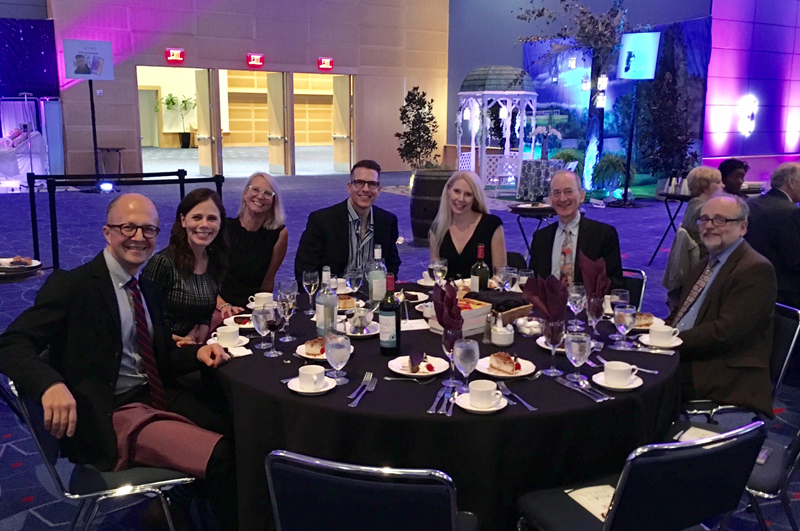 The children's book authors and illustrators were invited to Verse and Vino- a literary dinner where they celebrate books, literacy and the Charlotte Mecklenburg Library Foundation. A group of the authors there for EpicFest got to sit together and enjoy. It was so much fun getting to know this gang. From left: Leo Espinosa, Tammi Sauer, Kristin Tubb, D.A., Amalie Jahn, Paul O. Zelinsky and literature professor, Mark West. The next day, after an early breakfast, we all went off in different directions, escorted to speak at schools around Charlotte. 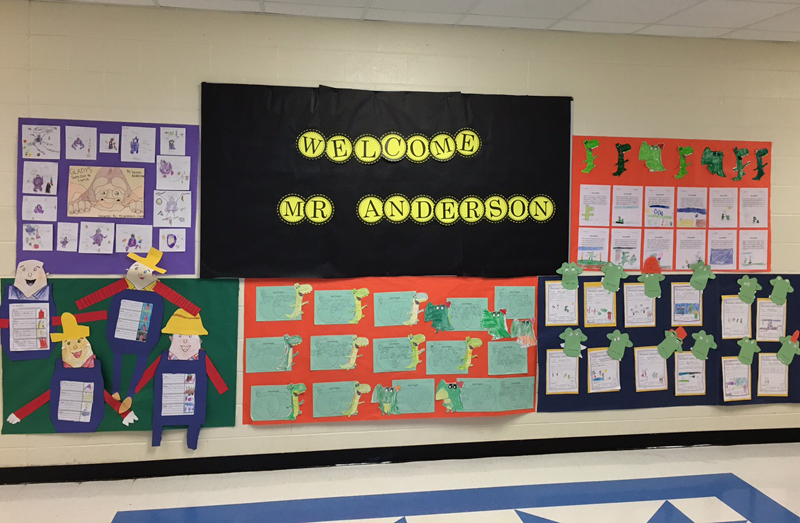 It's amazing to walk into a school and be greeted by a welcoming wall of my characters made by the students! This was at Pineville Elementary School. My agent, Tracey Adams, came to my presentation. I've been working with Tracey for two years and though we've known each other much longer, we'd never met in person until that day! 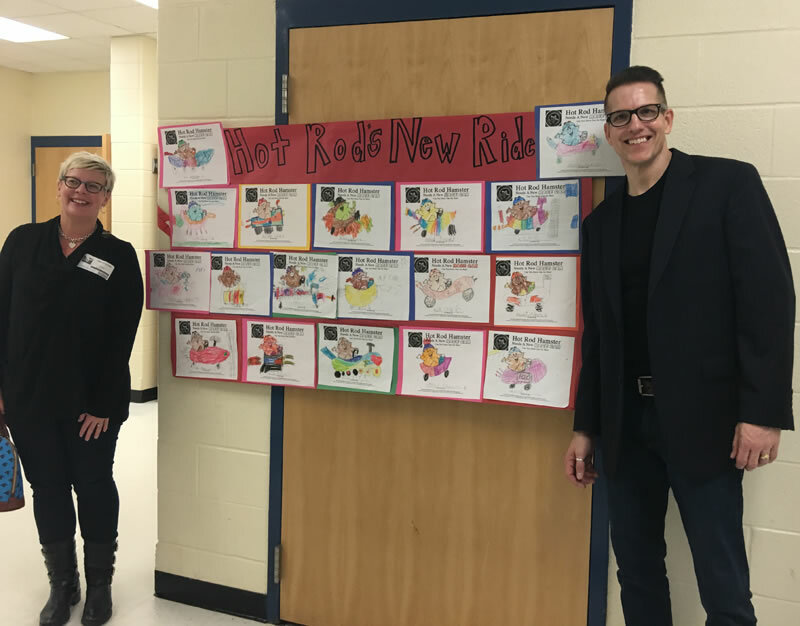 We're posing here with some of the students' new car designs for Hot Rod Hamster! 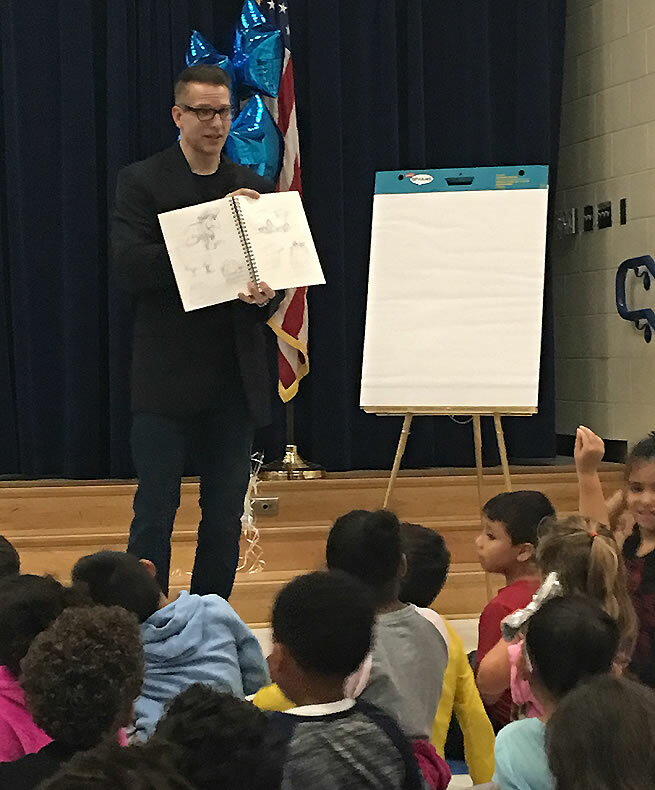 Showing a page from my sketchbook to a group of first graders at Pineville Elementary School. 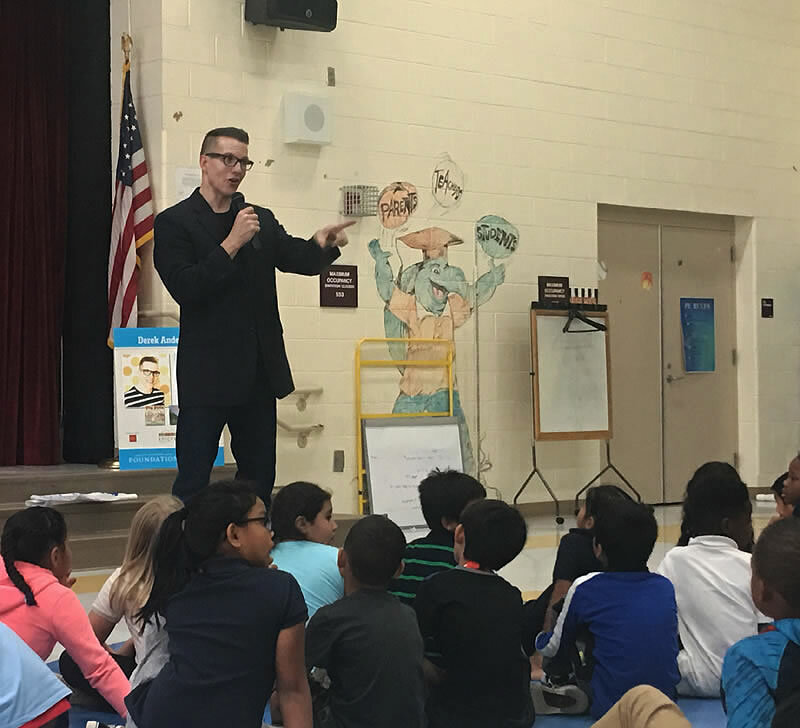 In the afternoon, I presented to a large group of second graders at Tuckaseegee Elementary. This young lady came up and wanted to give me a fruit roll-up after the presentation. I tried to tell her that she should keep it for herself, but there was no changing her mind. This is the whole author gang on Saturday morning before the festivities began. From left: Amalie Jahn, Jon Scieszka, Mike Curato, Nick Bruel, Paul O. Zelinsky, Olugbemisola Amusashonubi-Perkovich, D.A., Tammi Sauer, Brendan Reichs, Kristin Tubb, Leo Espinosa. After reading a couple stories, I drew Croc from the Croc and Ally books! 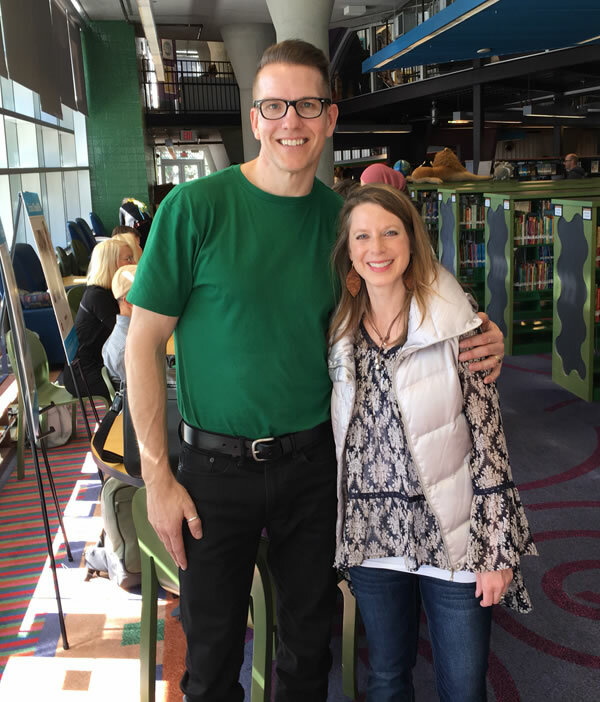 One of the great surprises of this visit was my friend, Tammy Stempler Priest, showing up at the festival on Saturday. I've known Tammy since our elementary school days at Roosevelt in Ames, Iowa. She now lives in North Carolina. It was so much fun to see her and catch up! 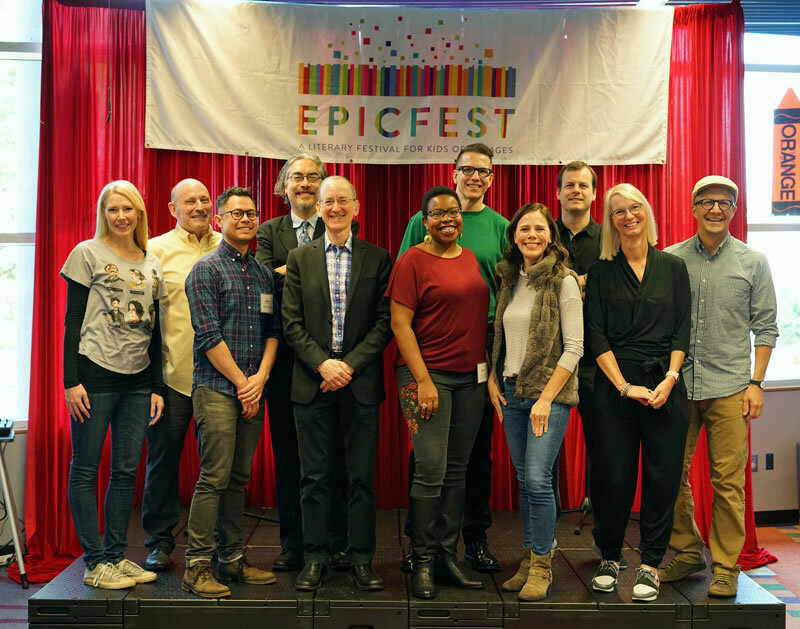 Many thanks to Becca Worthington, Walker Doermann, Emily Nanney, MarthaYesowitch, Karen Beach, Shelley Book, and everybody on the EpicFest committee for including me in this terrific event. And special thanks to Jenna Marotta for escorting me to the schools! 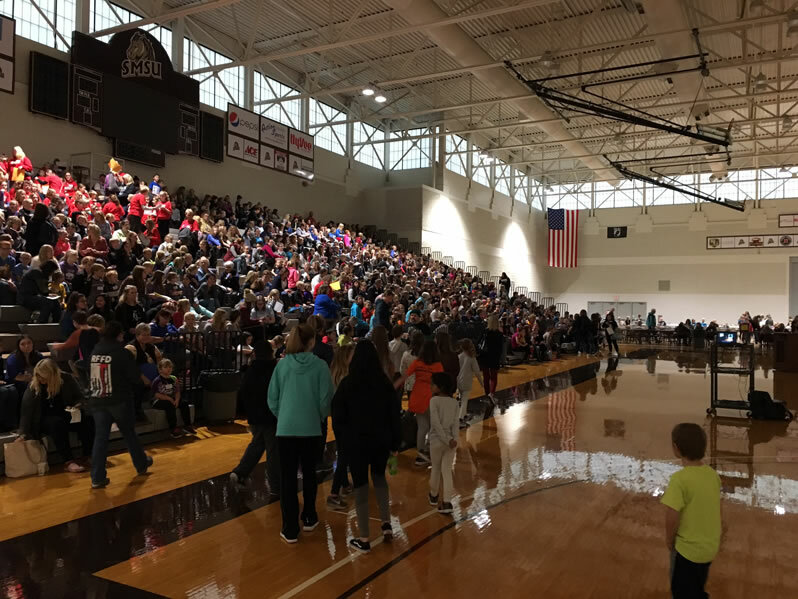 Coming next: My school visits in Kentucky! It's pretty special when your book gets chosen for a program like Kansas Reads to Preschoolers! 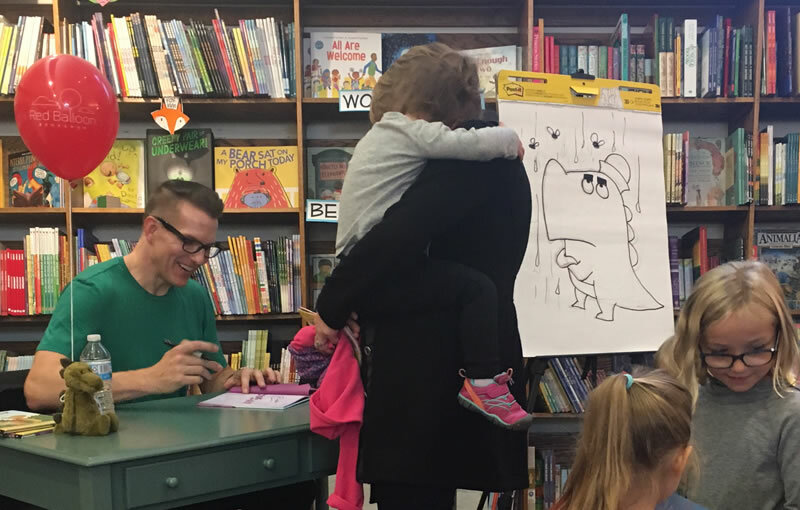 Ten Pigs: An Epic Bath Adventure is being read in libraries and at preschools across the state of Kansas this month, and the pictures have been SO MUCH FUN! 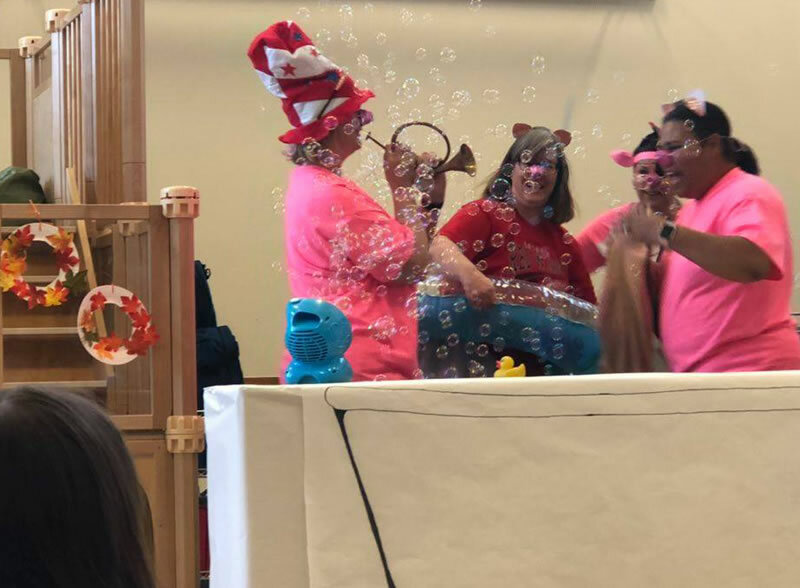 At the Center for Child Development at Kansas State University in Manhattan, Kansas, they recruited managers, teachers and committee members to act out Ten Pigs for friends and young readers yesterday- complete with props and a bubble machine! They even had a horn and a surfboard! I love this! 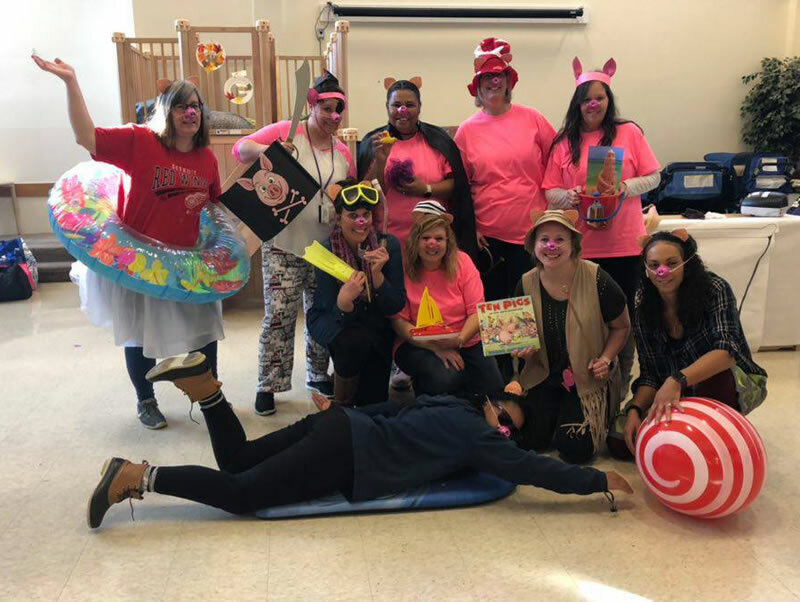 Many thanks to the Center for Child Development, to all these terrific women who are bringing the fun of stories to children, and to Katrina Ballesteros for sharing the pictures. November 3rd in Charlotte, NC! 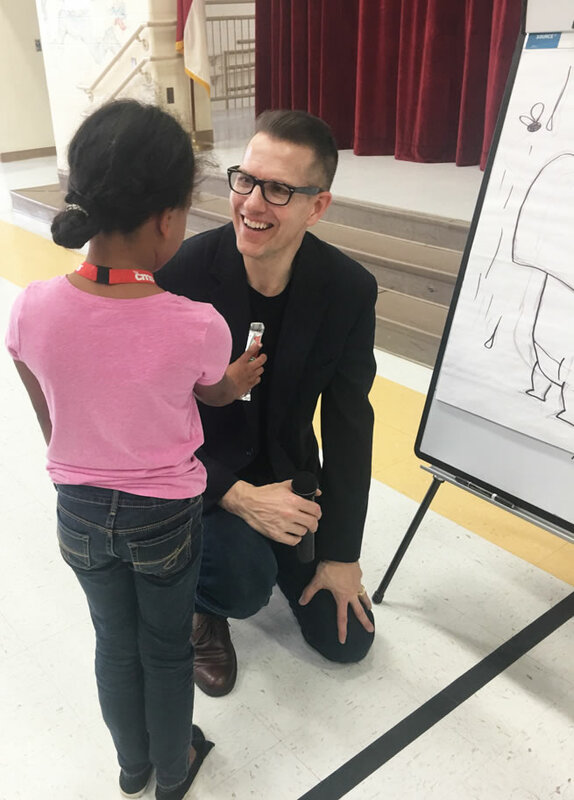 Hey readers and children’s book lovers in North Carolina! Croc and Ally and I will be at EpicFest in Charlotte reading and signing this Saturday, November 3rd! Find out all the details on their website HERE. October 20th, have been Cancelled. 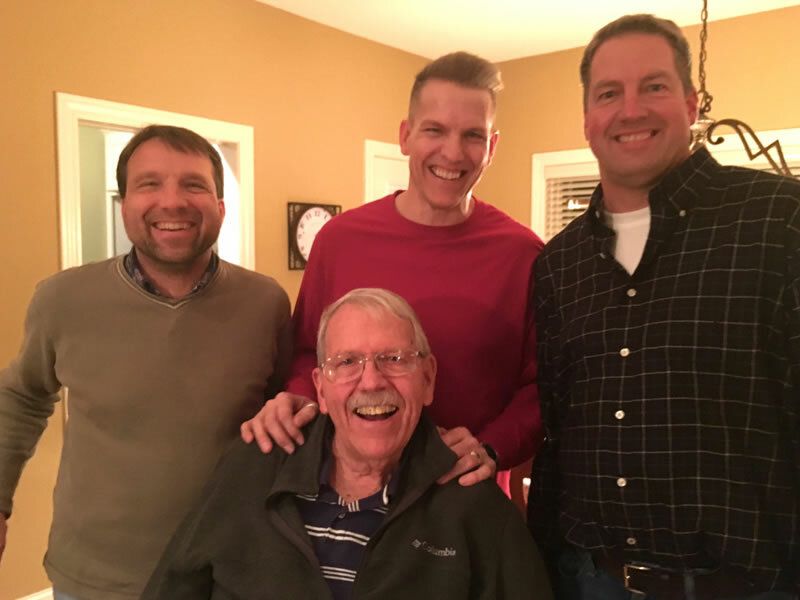 My father, Marvin Anderson, passed away on Tuesday, October 9th. He was so supportive of my brothers, Dave and Greg, and me. Life hasn't been much fun for him for a while, but my dad wasn't a person who ever complained. I'm so grateful that I got to spend time with him over these past few months. I traveled to see him every chance I could and we had some really nice talks. I'm thankful he isn't hurting anymore, but I really miss him. We will reschedule the events at the Iowa State University Bookstore and Ames Public Library at a later time. 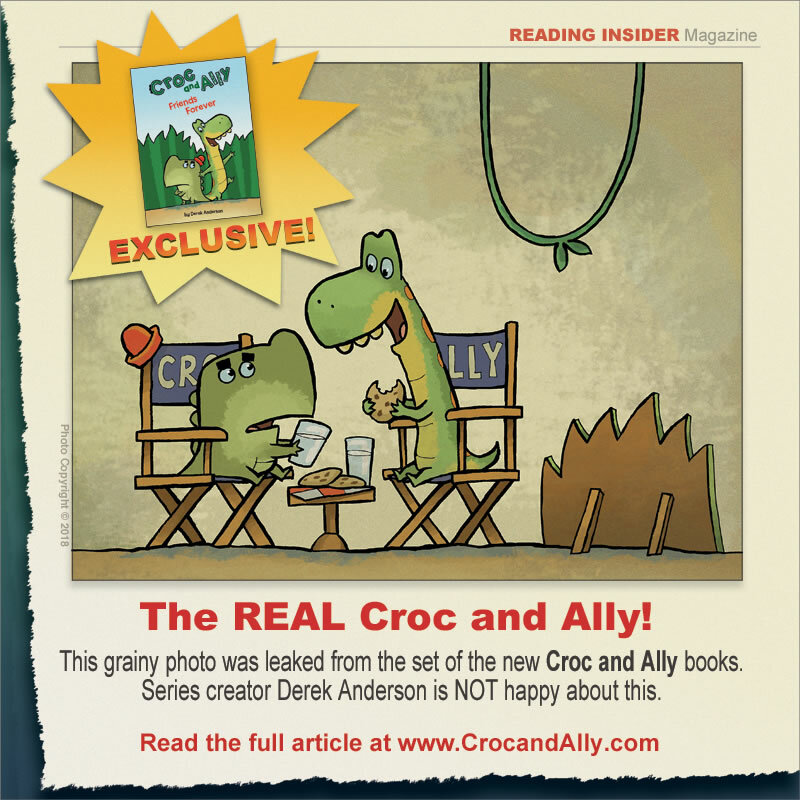 It's Publication Day for Croc and Ally! Croc and Ally are so excited, they've been waiting and waiting for this day! They've been busy packing to travel to bookstores. They can't wait to meet you! AND... they have a brand new site of their own! 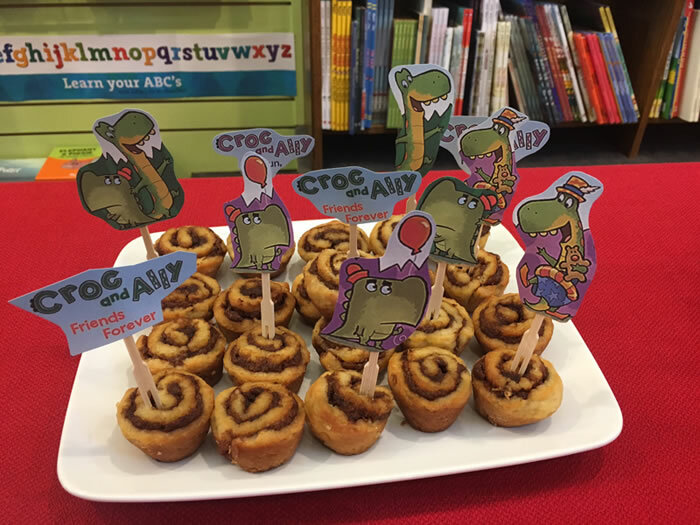 CROC AND ALLY'S LAUNCH PARTY! 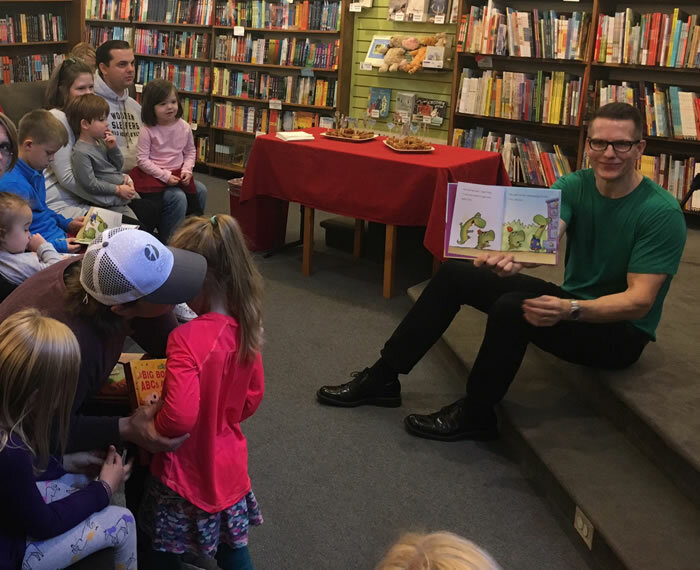 It was so much fun to introduce Croc and Ally to young readers and their parents on Saturday at Red Balloon Bookshop in St. Paul! Our friends at Red Balloon had special permission to have the release a little early (before the official pub date). They even had trays of Croc and Ally treats! 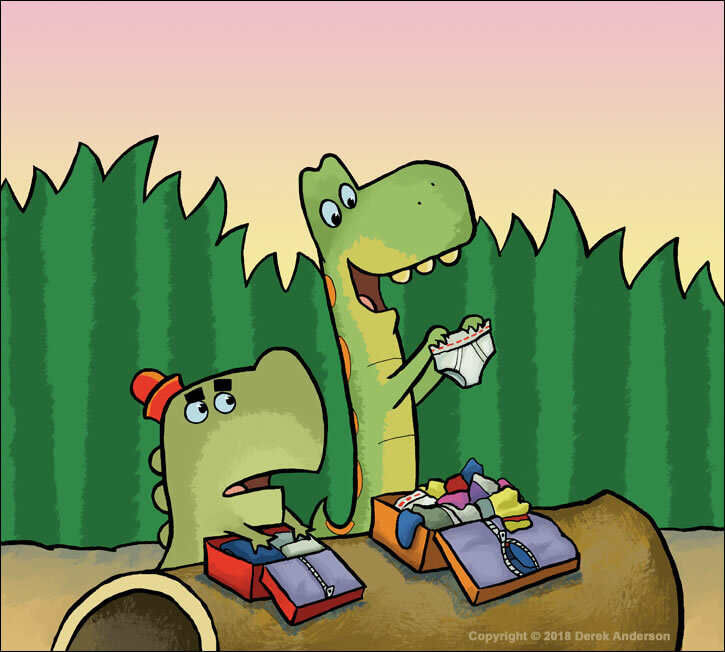 You could choose a Croc treat, an Ally treat, or one with the two of them together. 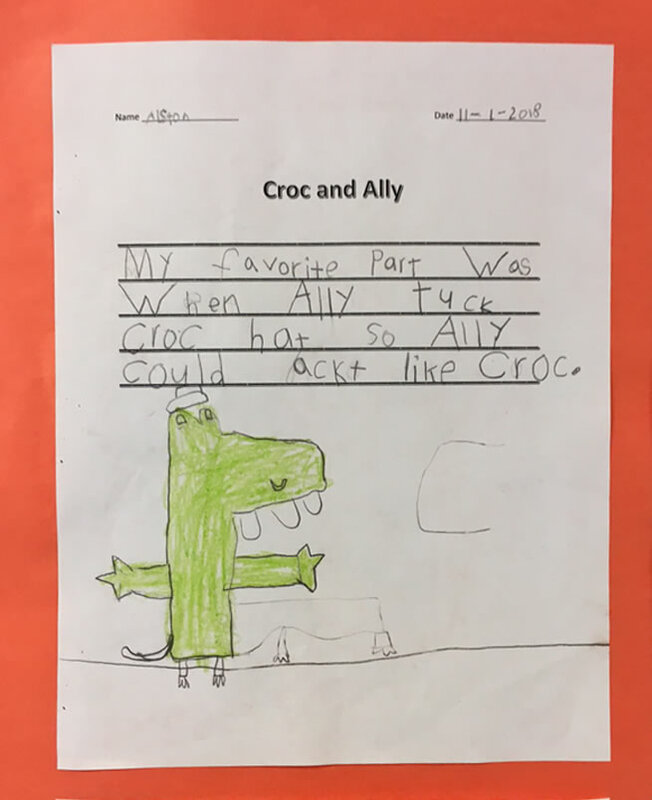 I drew both Croc and Ally for the audience. But I had to have two easels. I didn't want the two of them arguing over who got more space on the paper. It's always fun to meet new friends and readers! 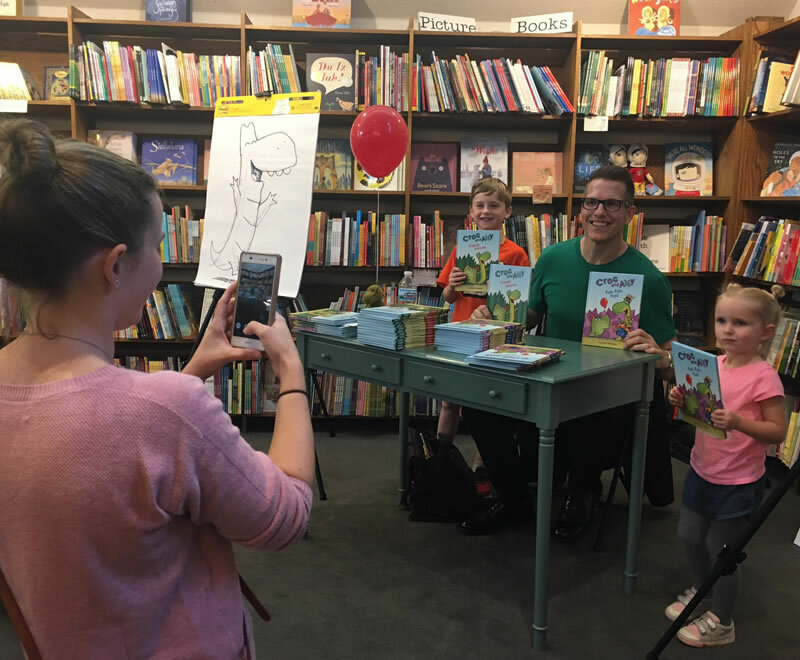 Many thanks to Angela and the whole gang at Red Balloon for such a fun morning celebrating the release of Croc and Ally! 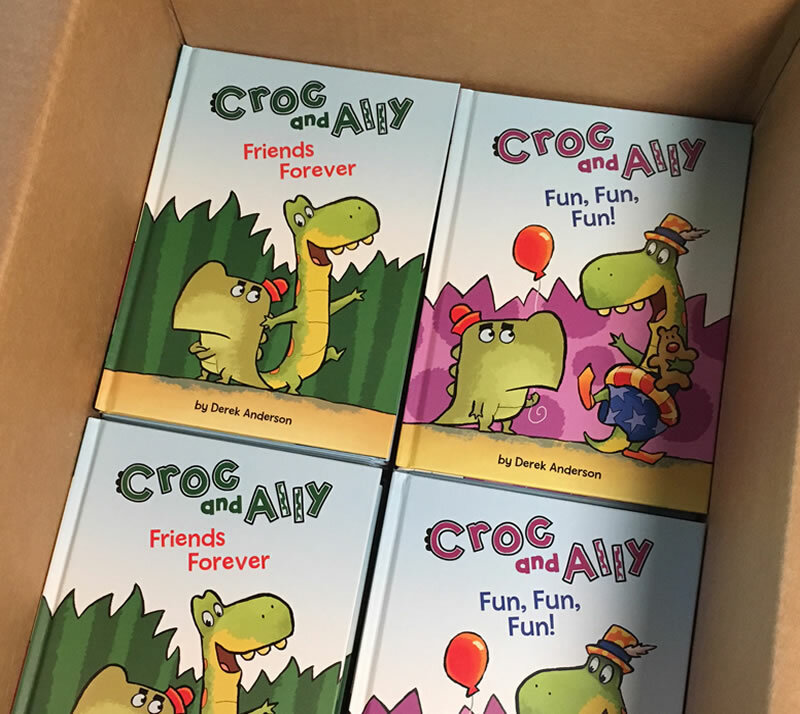 Croc and Ally's TWO NEW books don't officially come out in bookstores until Tuesday, but Red Balloon got a special early release for our launch this Saturday at 10:30am. Come by for some crocodile and alligator fun! You'll learn all kinds of crazy things- what makes crocodiles so grumpy, why alligators have so much fun and I'll show you how to draw them both! And there will be treats! 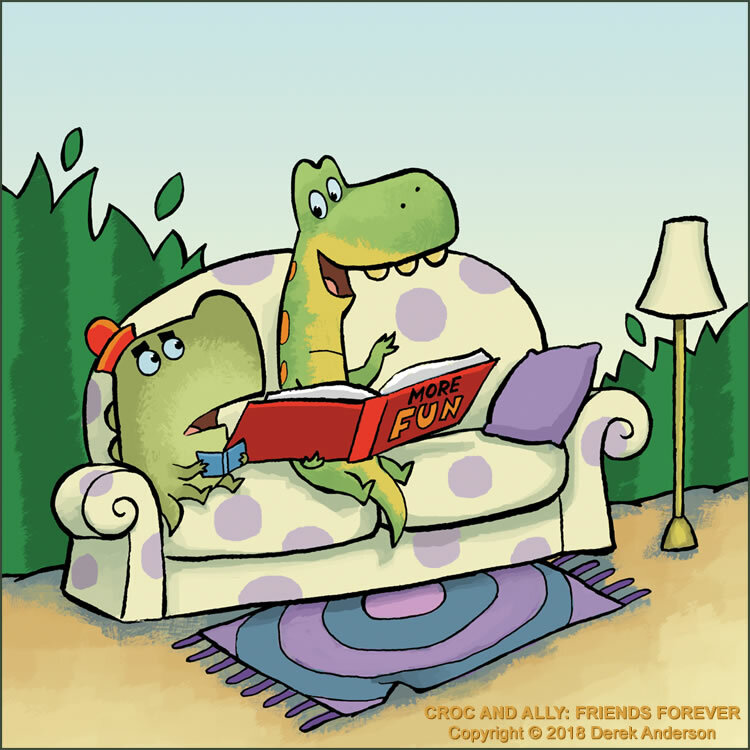 I can't wait to introduce you to Croc and Ally this Saturday! Stop by for some crocodile and alligator FUN! There isn't a lot I can say about this. Books are hard enough to make without things like this happening. Security was tight on the set of the Croc and Ally books, but somebody obviously thought it was okay to take a candid photos of the guys during their break. I promise you we will get to the bottom of this. To read the article from Reading Insider Magazine, click HERE. CROC AND ALLY in Ames!